Have you been injured in a construction accident in New York? New York City Construction Accident Lawyers at The Orlow Firm have been defending construction accident victims in New York since 1981. We have received millions of dollars in compensation for our clients. We know how to protect your rights and ensure that you and your family are fairly compensated. We understand the grief and frustration that you experience when trying to care for your loved ones and dealing with legal issues. It is a tough time. Let us help you navigate through the legal jungle. Not understanding your rights and the laws that help protect your loved ones could cost you in compensation and peace of mind. Contact us today at (646) 647-3398. Our New York City construction accident lawyers have over 25 years experience in construction accident law. We also have experience in many other areas of personal injury — such as nursing home abuse defense and bus accidents in New York. We understand the dangers involved working at construction sites with heavy machinery, heavy materials and extreme heights. With these conditions, in the event something goes wrong, it usually is of severe consequence. If you have been injured in a construction accident in New York, you should contact a lawyer as soon as possible to discuss your rights to compensation. In 2007, legislation constructed extensive alterations to New York’s workers’ compensation system. Life benefits are not obtainable for many injuries. Individuals with non-extremity injuries are immediately subject to new benefit caps established upon developing medical guidelines. The full effect of this lawmaking is still unknown, since the statute is unclear on a few topics. What is clear is that injured workers must have an attorney with experience to protect their rights. We have received millions of dollars for our clients. You personally have a partner working on your case. Our New York Construction Accident Lawyers have been handling Ladder Accident cases for 30 years. Call (646) 647-3398, for a free consultation. The work that construction professionals execute is usually very physically intense and consequently endangers them to the intensified chance of accidental injury while at work. 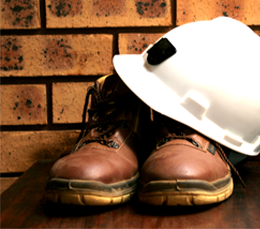 The employees of construction corporations usually obtain training particular to the nature of one’s own job and are to be given safety gear to minimise the risk or the harshness of accidents that do happen. Nonetheless, they still can get hurt during the business and are expected to bear extensive medical necessitates as an aftermath. Workers’ compensation benefits are specified to offer injured workers with the financial benefits that are essential to address the monetary value of accident-related medical expenses. These benefits may also assist to recoup a few of the salaries lost due to missed work time. Though among the central intentions of workers’ compensation law is to allow fast and uncontested access to the benefits that are deserved, insurance policy companies and employers bear a vested involvement in noticing reasons to force out claims and may intervene with your attempt to act on the benefits that you are owed. Working intimately with a accomplished and knowledgeable New York City workers’ compensation attorney can help you avoid making costly errors in the filing process and can forbid the abuse of your rights. Our New York construction accident lawyers have been handling ladder accident cases for 30 years. Call today (646) 647-3398 for a free consultation. A construction sites is one of the most dangerous work environments. With all the heavy machinery and people moving about doing different jobs, one small mistake can cause an accident. Unfortunately, construction accidents usually cause serious injury. If you are injured on the construction site, which renders you unable to work or make a living, you may be eligible for worker’s compensation insurance also known as workers comp. Workers comp is a state mandated benefit that pays money to employees who are injured in a work-related accident. Due to changes in New York’s workers compensation system make it more important than ever that you obtain legal counsel before filing a worker’s compensation. Can You Sue If You Are Already Receiving Workers Comp? In all but one of these instances, a third party caused the accidents. Though you forfeit the right to sue your employer by accepting workers comp insurance, you can however sue a third party involved in your accident. Oftentimes construction workers injured on the job are only entitled to workers compensation benefits. Rarely does this compensation fully reimburse a worker for their pain, suffering and other losses. If you are injured on the job, depending on what caused your accident, you may be able to sue a third party in a personal injury lawsuit. A third party claim can be filed against your employer if negligence or wrongful actions of a third party, such as another employee can be proved. This is especially common on construction sites where there are several subcontractors all working at the same time. While you wait for your third party claim to go through, you can apply for and receive workers comp benefits. If you attorney is able to recover damages for you, you will have to pay back your workers compensation you were paid with the money you are awarded. If you are injured in a construction site accident it is important that you seek a lawyer before you apply for workers comp insurance. Insurance companies hire experience lawyers to investigate accidents in order to find enough evidence that will help them pay out the smallest benefit amount possible. An experienced attorney knows what to look for in a construction site accident case. They can help develop legal argument with medical testimony from doctors to describe the extent of your injuries, which gives you the best possible chance of obtaining the maximum benefit amount possible. By hiring a lawyer, you can also focus on getting healthy again. You will need to spend time documenting the accident, injuries sustained and the cost of your medical bills so that your workers compensation lawyer can build your case. But besides that, you have the piece of mind in knowing that an attorney is handling your claim for you, which can lower your stress level and enhance your recovery process.